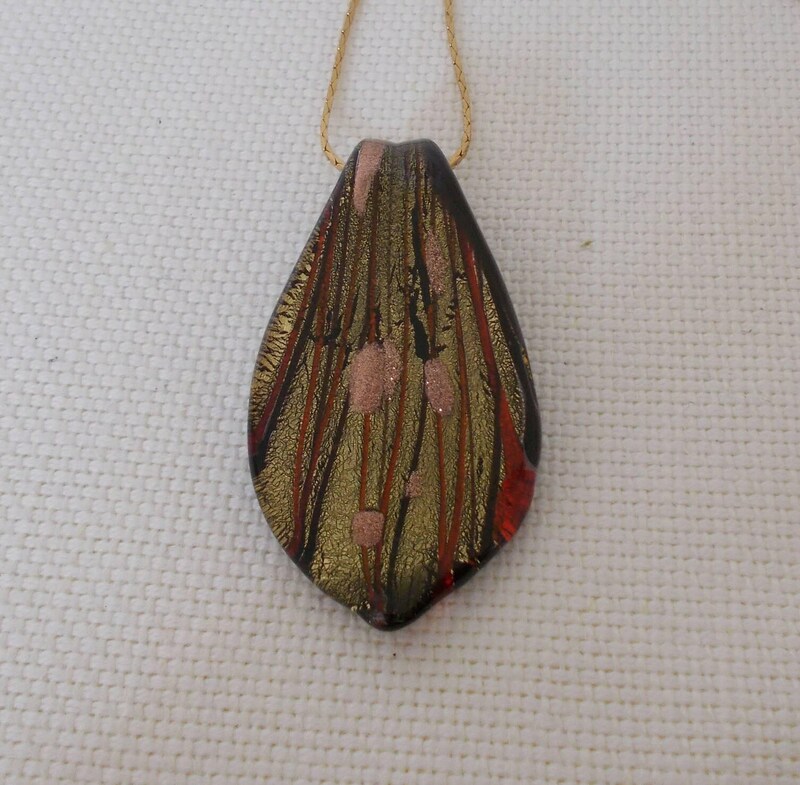 Hand painted leaf shaped glass pendant on gold tone chain. Abstract design on a burnished green/gold background. Possibly 1970s. 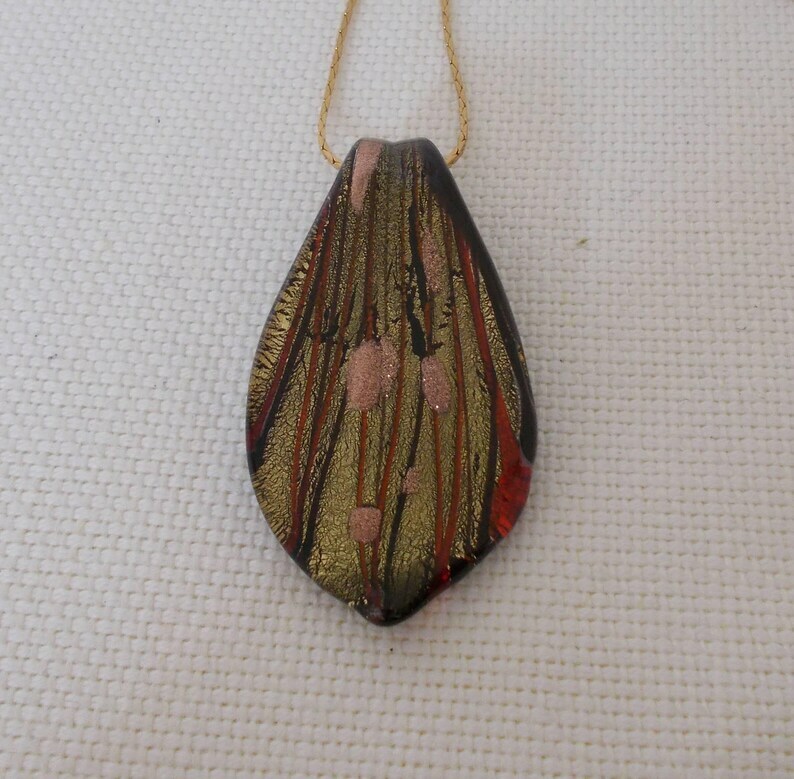 Pendant is 5cm long with a 44cm long chain. 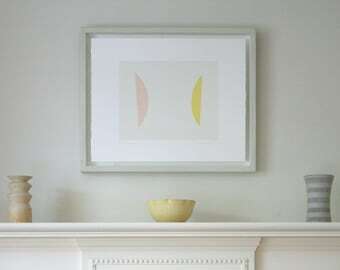 Provenance unknown, discovered in Wales.